A leading supplier of heavy building materials to the construction industry! Hanson UK produces aggregates (crushed rock, sand and gravel), ready-mixed concrete, asphalt, cement and cement-related materials, they operate around 300 manufacturing sites and employ over 3500 people. After being a client of ours for many years, Hanson has used our software to build systems that solve a range of issues and increase their operational efficiency. As a responsible employer, Hanson UK is dedicated to ensuring all employees are treated fairly and have equal opportunities, and they naturally seek to nurture talent and extract the best possible output from the workforce. To support this, they conduct personal development plans with assessment and review activities at regular intervals in line with company policy and best practices within management and HR. The personal development process is aligned with corporate objectives as strategic business plans change the personal development process may need to change too. Historically personal development reviews were managed through a paper-based process, which presented many problems, including lack of management visibility, poor adherence to process by managers and workers. Due to different standards and the existing paper-based process, the information was cumbersome and not useful from a trend or logical point of view. Excelpoint worked with the HR department to produce a system that reflected the policies and procedures required. The system needed to be easy for users to use without the need to cascade training to hundreds of people and centralised the information produced. Hanson UK conducts their personal development reviews twice a year, and now all managers receive an automatic email from Excelpoint to notify them to start the reviewing process when the process has begun each manager in the organisational structure has clear visibility of their responsibilities. It also lets senior management monitor managers ensure that they are performing their reviews on time. Visibility is now instantaneous and therefore all measures to increase adherence to the process including automated reminders and the general real world management skills required. Employees are scored on a consistent basis, all scores are added to the system and later moderated to ensure that every individual is treated impartially. This information builds a valuable source of trends and analysis as the years go by assisting both talent progression and skills improvement. Since adopting the new system, Hanson has seen a significant rise in the percentage of managers who now complete the process on time and in agreement with guidelines. Now their HR department can request amendments to the process, and they are made within days. All businesses, no matter their size must comply with anti-monopoly legislation. It is possible for large corporate players in any market sector to effect pressure and working practices to dominate the market, essentially creating a monopoly or cartel. Although Hanson UK has always complied with the legislation, they sought to be able to demonstrate best practice and hold up a leading light within the industry. Hanson UK wanted to be able to report, analyse, show and provide information that illustrates how the company and their employees are fully acknowledging their responsibilities under Competition Law, as well as identifying any gaps. Implementing a system that allows them to do this sets them apart from many other organisations in this sector. Integrated with data flows from the company HR system, Excelpoint automates monthly communication with managers and operational staff that operate in areas of the business or roles where they may have reason to deal with suppliers and competitors. Hanson makes this proactive communication to record the responses received to a few basic, fundamental questions, these responses and none responses form the basis for reminders to be sent and for managers to report on those people within the business that require training on the importance of complying with this important legislation. 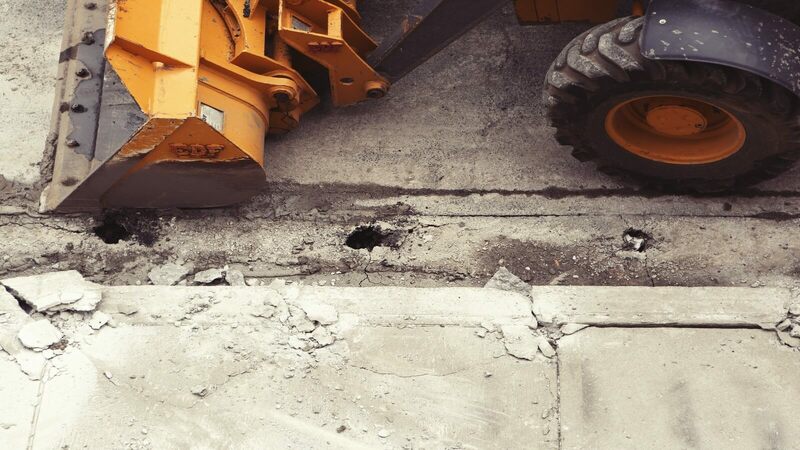 There are 120 reasons why concrete may not be delivered to the intended recipient if one of these reasons occurs then there’s the chance to lose a substantial amount of money through costs associated with the journey, labour, and product disposal. As concrete has a two-hour shelf-life Hanson UK only has a short time during which they can sell the concrete to another customer. But this change to the business transaction requires two levels of approval from management and all of the associated amendments have to be accounted completed via the corporate ERP system for the product to be diverted, this would often take more than two hours. Using Excelpoint, we simplified the complicated process so that the end user can go through the process from approval to accounting/documentation, to transaction quickly and efficiently. The system sends automatic emails to obtain the two levels of approval from the relevant people, it also documents changes and is fully integrated with the ERP System so it can push the transaction through. Ultimately, using our software saves Hanson a substantial amount of money and ensures they are not wasting any valuable resource.